Posted July 5, 2017 by Tonja Torgerson & filed under News. Reflections on vulnerability, death, and the impermanence of the body. 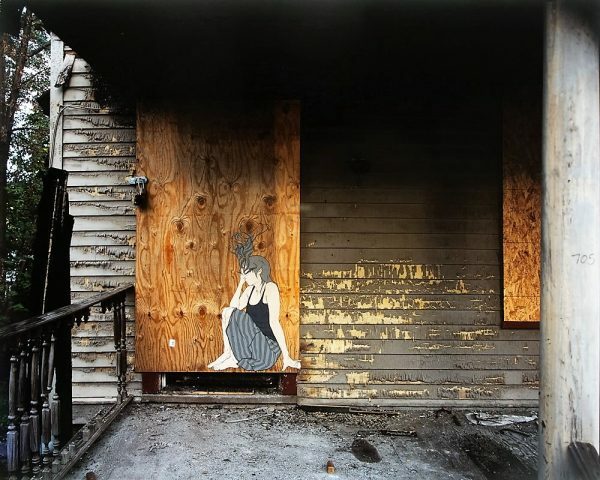 Large-scale photographs capture Torgerson’s screenprint figures succumbing to their decayed & damaged surroundings. These works provide an intimate pause in which to consider the frailty of the body; allowing us to dwell on uncomfortable truths.